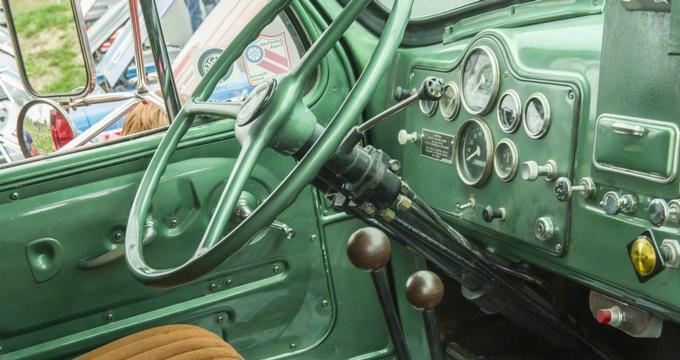 Located in Allentown, Pennsylvania, the Mack Trucks Historical Museum presents exhibits dedicated to the history of the Mack Trucks corporation and its products, along with a public company showroom and a test-drive performance track. The Mack Trucks corporation was founded in 1900 by Brooklyn, New York native Jack Mack, a former employee of the Fallesen and Berry carriage and wagon company, and his brothers, Gus and William. Inspired by the work of transportation entrepreneurs Henry Ford and Orville and Wilbur Wright, the Macks established their corporation for the purposes of producing heavy-duty trucks, engines, streetcars, and touring vehicles. Originally known as the Mack Brothers Company, the corporation moved its headquarters and operations from Brooklyn to Allentown, Pennsylvania in 1905, and began manufacturing locomotives and railway cars. In 1922, the company rebranded to its current name, Mack Trucks, Inc., adopting its now-famous bulldog corporate symbol. Throughout the 20th century, Mack Trucks became involved in a number of government operations, including aid with the construction of New Deal-era structures such as the Hoover Dam and vehicle donation for transcontinental surveys for the creation of planned national highway systems. A second Mack trucks production facility was opened in 1966 in Ontario, Canada, which operated until 1993, and in 1970, the Allentown facility became the company’s world headquarters. In 1979, the company began a business affiliation with international vehicle manufacturer Renault Trucks, eventually becoming a fully-owned subsidiary of the company in 1990. In 2001, the combined company was purchased by Sweden’s AB Volvo car manufacturing company. Since 2008, Mack Trucks has been headquartered out of Greensboro, North Carolina, though the company’s line of vehicles is still primarily produced at its assembly plant in Lower Macungie, Pennsylvania. In 1984, the Mack Trucks Historical Museum was incorporated as a nonprofit organization, offering a public customer and visitor experience at a 160,000-square-foot facility in Allentown, Pennsylvania on the site of what is now the former company world headquarters property. Following 2016 renovations, the facility offers both a historical museum visitor experience and a Mack Customer Center facility for Mack Truck owners. At the Mack Trucks Historical Museum, the company’s history of operations is showcased in a variety of hands-on interactive exhibits, including a chronological timeline panel of the company’s founding and expansion. Several historic Mack buses and trucks are on display throughout the museum, ranging from century-old restorations to current-day models. The company’s Megatron vehicle, which was used in the feature film Transformers, is also on display at the museum, along with vehicles used in films such as Die Hard and used as models for animated vehicles in films such as Pixar’s Cars. Many vehicles are offered as living history exhibits, allowing visitors to climb behind the wheel for a hands-on experience. In addition to display vehicles, exhibits of Mack Truck memorabilia are also showcased, including collector toy cars, advertising materials, and interior car engines and parts produced by the line. As the museum is housed within the plant’s former testing center facility, several exhibits and features offer unique testing experiences, including interactive exhibits related to vehicle aerodynamics and soundproof factory paneling. An archive exhibit also allows visitors to research the history of family-owned Mack Trucks with a VIN number or other vehicle information. At the facility’s Mack Customer Center, a Mack Customer Experience Zone offers more exhibits, including an Uptime in Real Time exhibit detailing the operations of the facility’s 24/7 Uptime Center, and a Bulldog Theater, featuring a 360-degree wraparound screen and immersive special effects and showcasing programming related to product manufacturing and development. A product showroom showcases the company’s current model offerings, while a performance track allows customers to test-drive vehicles on a paved track and an off-road course. Guided tours of the Mack Truck Historical Museum are offered for individuals and visitor groups of up to 10 participants, showcasing the museum’s exhibits and historical vehicles. Walk-in groups of 10 or more participants will be divided into multiple tours at the museum’s discretion, while small groups, organizations, and elementary and secondary school field trip groups wishing to plan large tours should contact the museum directly in advance of requested tour date to schedule a reservation. Annual public special event programming at the museum and Customer Center includes the Trucktoberfest appreciation event, which celebrates the museum’s antique truck club supporting organizations with a historic car showcase and festival. Activities include a flag-raising ceremony, a garage sale and silent auction, and a Pedigreed Parade of Power.